While I’m not the biggest fan of all sports, I used to be a big basketball fan, particularly for my hometown team, the New York Knicks. 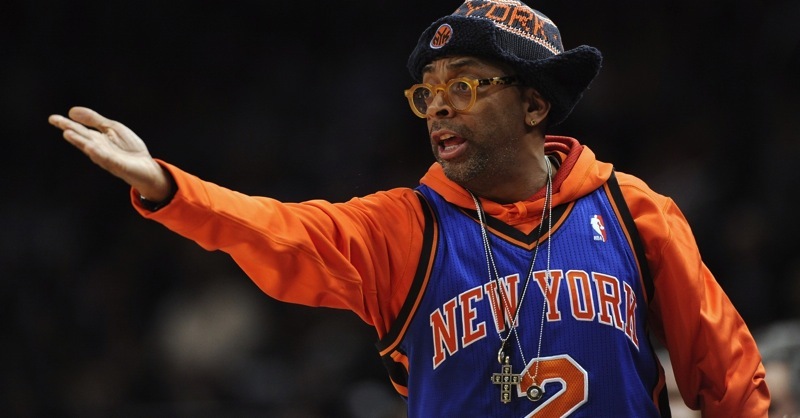 One of the most entertaining parts of going to games was seeing Spike Lee, kitted out in all the supporter gear, cheering on the team. He has done even more basketball related media over the years, but now he’s venturing into gaming and he might just have enough passion to make it interesting. It’s about the trials and tribulations of life on a big stage with the money, fame, temptations, family members, the press, fans, all that stuff. Those familiar with Lee’s work might be wondering if we’ll finally see an NBA game that’s rated T for Teen or even M for Mature, but no – it will still be an E-rated game to ensure it complies with the NBA brand. But fans are told not to worry, Lee still brought the drama. I didn’t really realize how quick it was going to be. We didn’t have to do costumes, makeup or hair. We didn’t have to move props around. We didn’t have to move from location to location. Everything was just there. I actually really like this. I think it takes someone outside of video gaming sometimes to come up with compelling stories, especially for something to make a sports game more intriguing. NBA 2K15 did well, selling more than 5.5 million copies since it released last year – even without proper face scanning, fans still enjoyed what it had to offer. Perhaps this year, Spike Lee can make it an even more unique experience.